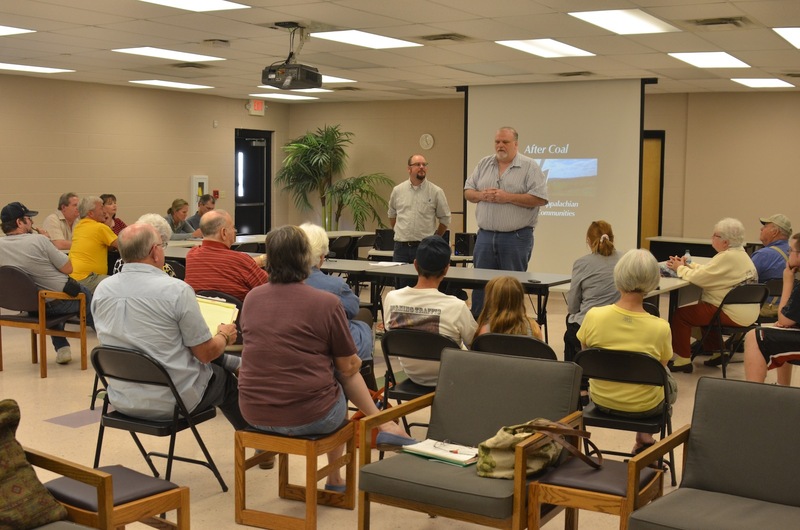 After Coal director Tom Hansell presented at a forum co-sponsored by the Elkhorn City Area Heritage Council in Elkhorn City, Kentucky September 18. He shares his reflections on the event. A lot of water has flowed under the bridge that spans the Russell Fork River in downtown Elkhorn City (population 1000) since my last visit. This communtiy and its people have been close to my heart for a long time. I made my first documentary The Breaks of the Mountain (1999) about local efforts to use the rivers and trails surrounding Elkhorn City to drive adventure tourism. 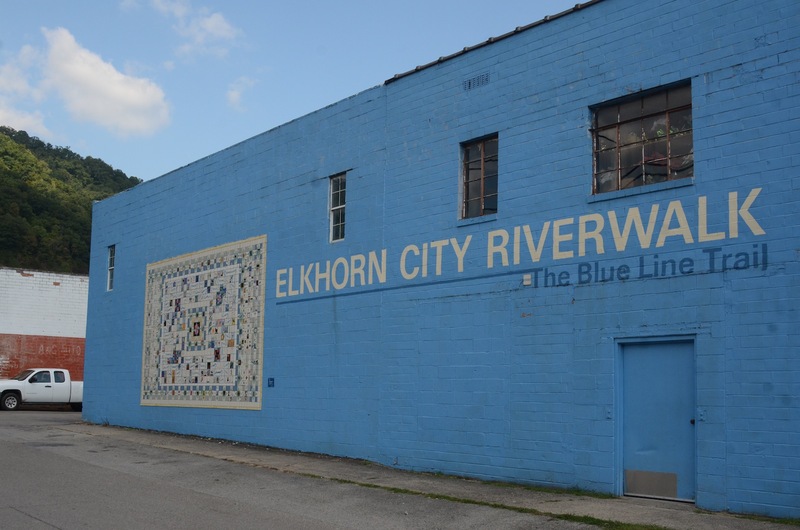 The Elkhorn City Area Heritage Council formed during the production of the documentary and has been a driving force in celebrating the unique cultural and natural heritage of the area. The world has changed a great deal is the 15 years since I finished The Breaks of The Mountain. Coal employment was on the decline even during the Clinton era and coal production in East Kentucky peaked in 2001. Over the past two years the bottom has dropped out of the market for central Appalachian coal. The local economy is just as tough as it was in 1999, some might say it is tougher. Several storefronts in Elkhorn City still sit empty, and the venerable Rusty Fork Cafe on Patty Loveless boulevard closed its doors during the past year. But many residents in Elkhorn City have plans for a better future. One bright spot is the The Pine Mountain Trail State Park, a 110 mile trail on the ridge that forms the Kentucky/Virginia state line. 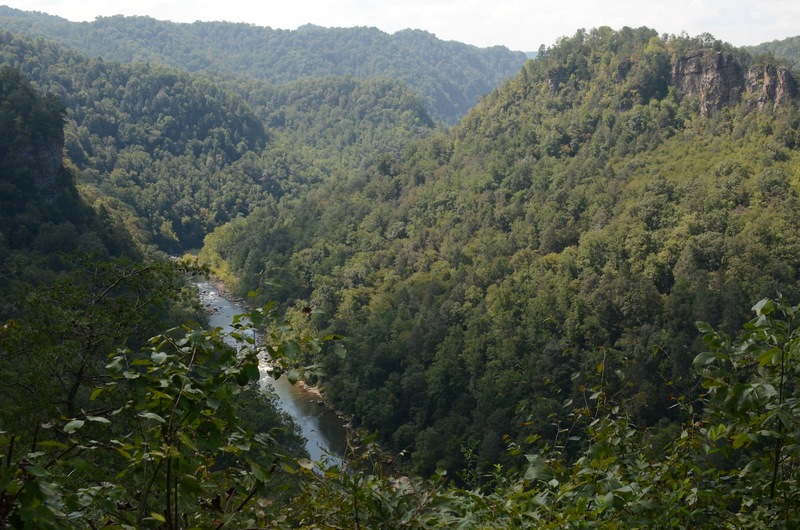 A trail head opened in Elkhorn City a few years ago, and many residents see the combination of the trail, the nearby Breaks Interstate Park, and the whitewater of the Russell Fork River as a natural foundation for a new local economy. The Heritage Council is helping to host a 100 mile trail race in a few weeks, and it is great to see so much energy around the Pine Mountain Trail. At the forum in Elkhorn City, I showed a short video that highlighted two examples of local tourism efforts from former coal communities in Wales. The first was a private enterprise called Call of The Wild. This company uses the outdoors to provide management training for businesses throughout the UK. The second example is a mountain bike park built on an abandoned mine site (now public property) in Glyncorrwyg. The local community all pitched in one pound per household to match government support of the project. After watching the stories from Wales, local residents shared their visions for the future and identified obstacles that may prevent their vision from being realized. A series of great ideas quickly surfaced, some as simple as improving signage so that visitors can quickly locate attractions. Others offered long term plans such as building a ropes course and a training center on riverside property. The main obstacle identified by residents of Elkhorn City is the lack of access to development capital. Local banks are often wary of funding start up businesses with a high rate of failure, and local government is strapped for cash. These are not just local challenges for Elkhorn City, but challenges faced by residents in rural communities throughout the US and Great Britain. To create a better future, local people will need to be creative about using local assets and building partnerships to access the funds they need to regenerate their community. The Elkhorn City Area Heritage Council works to ensure that unique local assets are at the heart of any plans to build a future after coal. This place based approach provides a vital element for creating sustainable coalfield communities. The Homegrown Tourism forum in Elkhorn City is the first of three forums featuring the work of the After Coal project. A forum to discuss sustainable development policies will be held October 7 at the Appalchop Theater in Whitesburg, KY; and a forum to discuss the role of youth and the arts in community regeneration will be held October 28 on the campus of Southeastern Kentucky Community and Technical College in Harlan, KY.